We has 24 teams, and several family members present as spectators at the weigh-in. 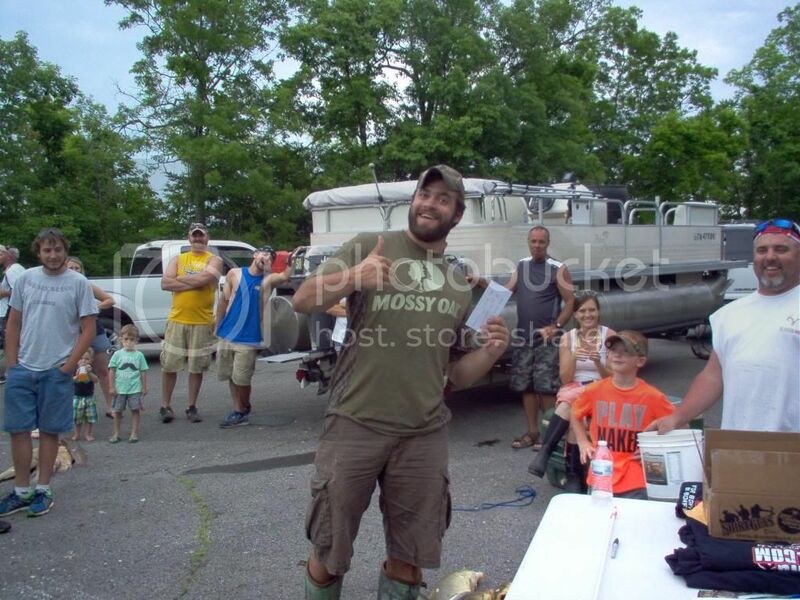 We handed out $1,160.00 in cash and some great door prizes. Jeff Neiball from Ndesigns Screenprinting for donations of $100 for big fish, and a box of bowfishing swag for door prizes. Justin Schweiss and Randy Deven from Max-It Out LEDS for their extreme Nav light donation for door prizes. Corey Whitt from Backwoods Taxidermy and Hydro graphics for his donation of custom bow hydro dipping for the door prizes. Bob Esper for donation of the plagues that were given to the winners. 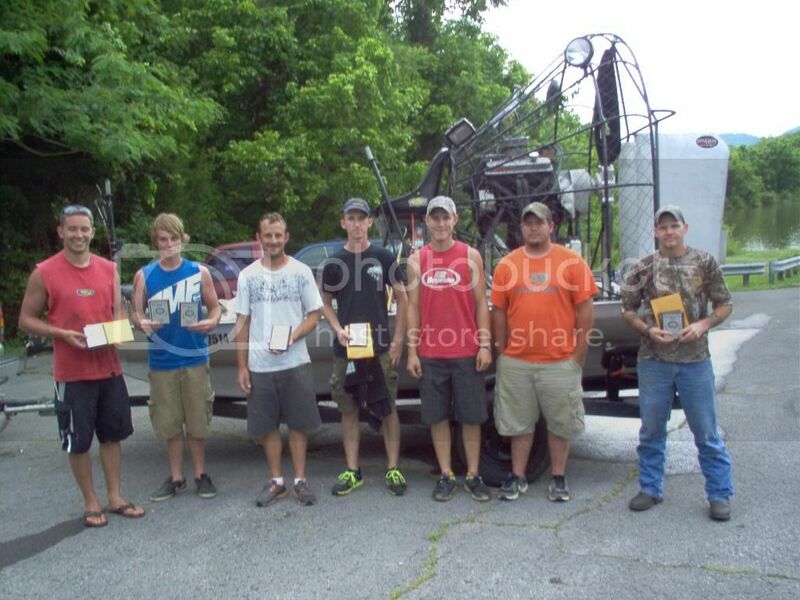 I also want to thank The Tennessee Bowfishing club for use of their digital scale for the event. 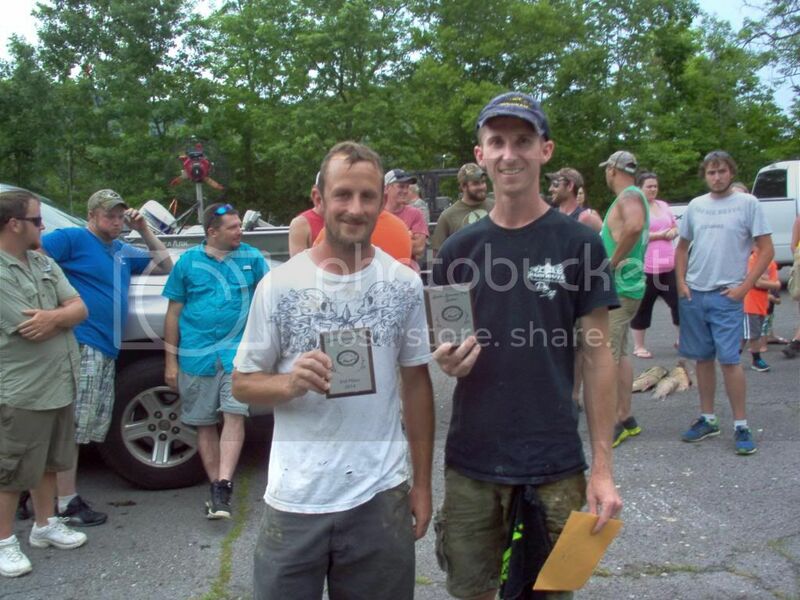 I would like to recognize Shane Newberry from Bloodline TV for his help with the registration/Weigh-in and Brett Miller for running the scales at weigh-in and making things go as smoothly as it did. I want to thank all the participants and their supporting families most of all, because without them none of this could have been possible. 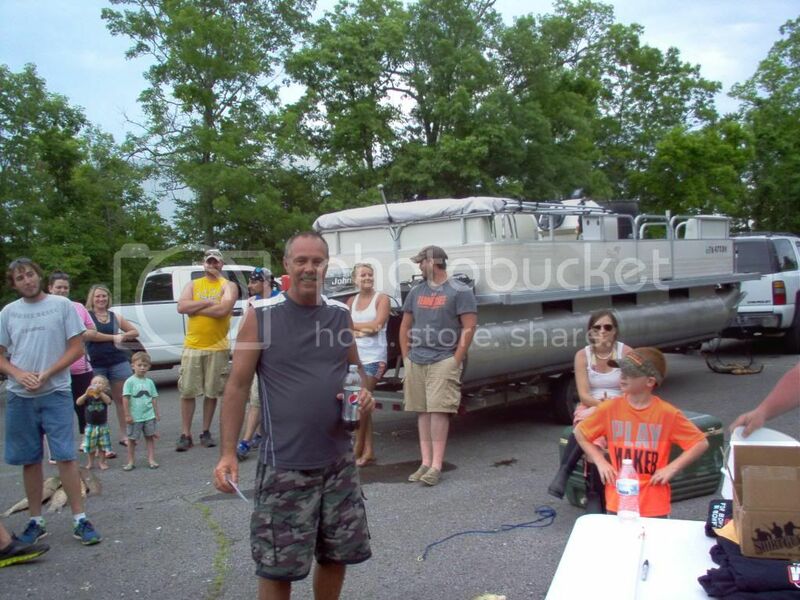 I see me and the wife at the far end of the guardrail in the first pic. Looks like she got right in the middle of the pics at the weigh in too lol. I had some truck trouble so I didn't make it to the weigh in myself. We didn't do much good but we had fun. 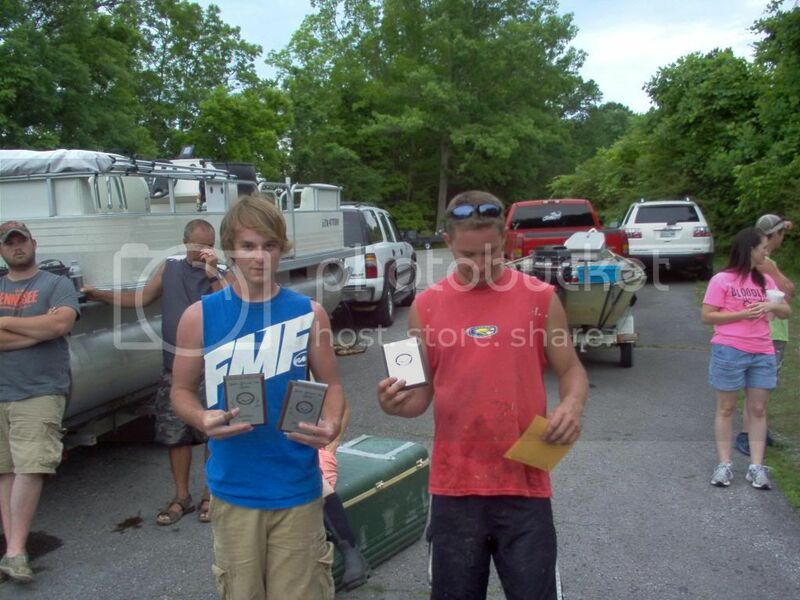 I had us on fish all day...I was just having a horrible day for shooting. I couldn't connect to with a fish to save my life. She said I missed smallest fish by just a few ounces though. I managed to kill the smallest carp I've ever killed. 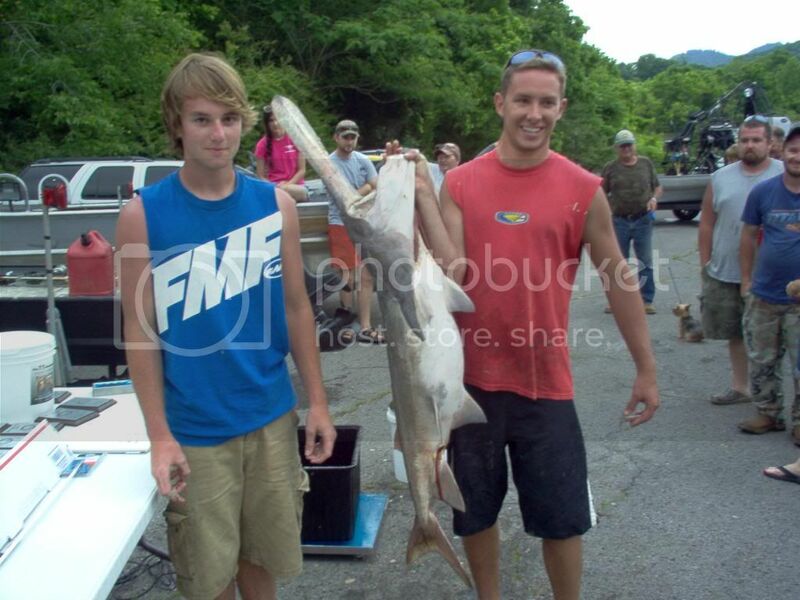 That was an awesome paddle fish those boys brought in. We will be back next year. Thanks to everybody involved. Thanks for coming out, see you next year.